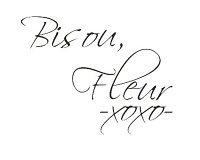 La Vie Fleurit: Journal; Summer Recap! Hey everyone, I’m back after a very long holiday break. I’m super excited to tell you guys what I’ve been up to these last couple of weeks. Next to setting up new concepts for a potential accessory brand, launching a new website and going on several vacations abroad … I’ve also been busy visiting fashionweek, going to events and participating in cool blogger workshops. One of my favourite PR offices in the Benelux are those by Unlimited PR, with offices in both the Netherlands and Belgium, they represent quite some impressive brands. Each season they organise a special bloggers day, to introduce the new collections of their marks, to us. However, it’s fun to see that both bureaus still have a different approach on their events. UPR’s Belgium department calls it “The Big You” and the Dutch call it BBB which stands for Bloggers, Beats & Bites, but the most important thing is that they both stand for A LOT OF FUN! It was good day for chilling! My smokey eye workshop by M.A.C. was a colourful succes! Around the world with Camper, I choose these riding boots to go to Argentina. Want to know how the event looks like on film? And if one event wasn't enough UPR Amsterdam organised another event that same night. Launching the Selected Femme pop-up store in the fantastic SPRMRKT shop. The Selected Femme collection with on top my favourite must-have necklace! Fellow bloggers, but most of all great company; Miss Linsey (Pose) & Miss Amanda (Follow the Glitter). To the whole UPR team you are the best! Thanks for the invite! Maar wel money om te shoppen! Heb jij ook een leuke zomer gehad?